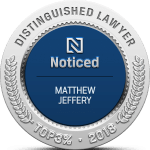 Matthew Jeffery is a Toronto-based immigration lawyer with years of experience handling a wide range of immigration cases. His area of expertise includes citizenship applications and permanent and temporary residence applications and renewals. His multifaceted practice specializes in the full spectrum of immigration litigation and appeal services, including, but not limited to things such as: immigration appeals and judicial review before Canada’s Federal Court. Mr. Jeffery earned a law degree from Osgoode Hall Law School at York University and has been certified by the Immigration Law Society of Upper Canada as a Canadian Immigration Law Specialist. Mr Jeffery is pleased to be able to have the opportunity to provide his many years of immigration law experience and legal acumen to the community of Peterborough, Ontario. Peterborough, nicknamed “the gateway to cottage country” because of its location at the entry to the Kawartha Lakes region, is a thriving, dynamic city located 125 kilometres northeast of Toronto and is home to the Canadian manufacturing headquarters of many large multinational corporations. Peterborough is in the preliminary stages of an effort to make the city a more enticing destination for people immigrating to Canada and as such, the need for comprehensive immigration legal services is going to become incredibly important in the coming years. Mr. Jeffery and his team would like to be there for those new Canadians arriving to Peterborough in need of committed and reliable immigration lawyers. Mr. Jeffery offers all his clients free assessment to determine their eligibility for permanent residence status under the three different permanent residence status categories: skilled worker, business class or family sponsorship. This process is straightforward and easy to use. Simply complete the assessment form on the website and we will review it to determine if you qualify for consideration under any of the aforementioned headings. After successful completion of the assessment form, Mr. Jeffery will determine your eligibility and contact you to discuss any relevant additional services or fees concerning the handling of your case. 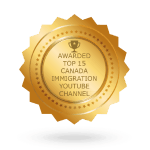 Mr. Jeffery’s dedication and work ethic have garnered him a long list of testimonials from clients, both domestic and international, who have admired and benefited from his dedication and considerable knowledge of the Canadian immigration system. 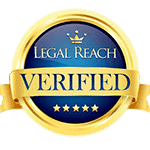 They are organized by area of expertise and provide invaluable insight into the many benefits of hiring a competent and experienced immigration lawyer when trying to navigate Canada’s complex immigration laws. If you would like to know more about Mr. Jeffery’s services and read up on real world examples in Canadian immigration law, we suggest you spend some time browsing the in-depth blog posts Mr. Jeffery and his firm provide to their clients on a regular basis regarding new developments and the evolving nature of Canadian immigration law. if you, or anyone you know in the Peterborough area would like to speak to an experienced immigration lawyer , please give us a call. Discussions with our lawyers cost $150 for up to half an hour of our their. If it is easier for you to contact us by email, Mr. Jeffery will personally review your inquiry and respond to you free of charge if he determines that he is able to provide you with assistance. Following this, you and Mr. Jeffery may schedule a private consultation. If you have questions concerning fees and payment methods, please contact us directly, as fees are dependent on the nature of each case.